Les Contes d’Hoffmann arrived for the first time at Santa Fe Opera this month and true to the company’s history, they did not shy away from a modern and sometimes thorny staging for the work’s debut. Longtime Santa Fe collaborator Christopher Alden was given the task of bringing one of the strangest operas in the standard repertory to life under the musical direction of Stephen Lord. With so much of the opera’s action taking place in memory or dreams, there is a lot of design leeway here. Alden has placed all of the action in a late 19th-century beer hall complete with a most ironic painting of rolling green German countryside at the rear of the stage completely eclipsing the mountainous high desert and rolling thunderstorms of northern New Mexico. This late Victorian set will house all of the opera’s action with long tables and chairs being ushered around to form mini-stages and other elements in the tale sequences. Most of the principal cast members are onstage throughout the entire performance becoming more or less engaged in the action as their number comes up. It’s a logical device considering that Hoffmann’s casting largely relies in vocalists covering multiple parallel roles in each of the stories. There is a fair bit of obtuse and sometimes symbolic stage business as when Dr. Miracle surrounds Antonia with a giant funeral wreath or the many hazy mirrors that are lifted high or gazed into by virtually everyone throughout Act II and III. The stage-within-a-stage device is used for all three of the female roles creating the effect that all three women have some of the performance and doll like qualities associated with some of the other female characters. In fact, Erin Wall, who sings all of these roles in the production, is typically dressed in a number of Victorian costumes by other members of the cast while on these stages prior to her “performances” for her audience in the opera. Alden offers a large amount of psychological material to consider in this very attractive staging that is just about as off kilter as the libretto itself. It’s a good fit. And while not everything connects, it’s never boring. The downside to Santa Fe’s new Les Contes d’Hoffmann is the overall quality of the vocal performances. As much as I’ve liked Wall elsewhere, she is seriously miscast as Olympia and Antonia. Her Giulietta is the strongest of the lot, but there’s little coloratura detail elsewhere. Paul Groves sings Hoffmann with an enticing angst and virility. Some of his top notes continue to strain and fade away, but not to the point where it’s unpleasant. The villains were covered by an adequately creepy Wayne Tigges who gets to repossess Olympia’s eyeballs gleefully throwing them across the stage. I was impressed with the energy and physicality of David Cangelosi as the four servants as well. But the audience came to its feet first and foremost for the marvelous Kate Lindsey. She reprised her superb performance of Nicklausse from late last year at the Metropolitan Opera with real flair and formidable acting ability. She’s immensely engaging to watch and her rich mezzo is perfectly suited to the part. I’m very much looking forward to the days when she’ll hopefully take her turn as Octavian. Vocal quibbles aside, though, this is a very worthwhile and thoughtful Les Contes d”Hoffmann with some beautiful orchestral work under Stephen Lord. It continues in beautiful Santa Fe through August 28. At the last minute, some friends of mine cajoled me into attending Thursday’s Los Angeles Philharmonic performance at the Hollywood Bowl. It was typical summertime fare, two thirds of Beethoven – a piano concerto and a symphony. The orchestra was under a recent young favorite here, Pablo Heras-Casado. I’ve thought his leadership admirable in the past, and he and the orchestra sounded strong throughout on a cloudless and airplaneless Thursday night. Heras-Casado doesn’t seem as desperate as other young conductors to cram everything with “new” perspective and is able to elicit a clean and dynamic sound. 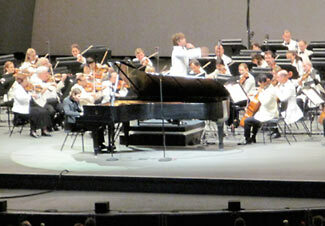 The piano concerto was up first with soloist David Fray, a young man who seemed tall and gangly on the Hollywood Bowl stage. He nearly hunched over the keyboard with an intensity of concentration. But interestingly, the piece sounded quiet and subdued with an almost intimate chamber music quality throughout all of the three movements. For a player with a reputation for quirky mannerisms and gregariousness, Fray came off as unexpectedly restrained. Granted, some of this may have been due to the nature of hearing the sound through less than stellar amplification, but still there was a remarkable quietness even in the outer movements that was attractive. The “Eroica” was a little less successful and engaging. There were certainly some very good moments across the piece including the first several minutes of the first movement. But it was just as likely to wander listlessly at other times into a haze. The fierce and fragile detail of the scherzo was somewhat lost in the Bowl. But Heras-Casado still remains one of the most exciting young conductors around and his engagement next season at the Walt Disney Concert Hall on November 5,6,and 7, leading works from Stravinsky and Takemitsu, is definitely worth looking forward to. Is This The Recording of the Year? It may only be July, but there's a strong possibility the answer is yes. Mahler is not a name that one typically associates with chamber music. However, I was in Santa Fe over the weekend where things often appear in a new and different light. And thanks to the programming folks at the Santa Fe Chamber Music Festival, which just kicked off on July 18, Mahler’s music did make a substantial and rather grand appearance on the stage of the tiny St Francis Auditorium. Of course the other person to thank for last weekend’s Mahler was Arnold Schoenberg. (And really isn’t that just about always the case in all great things musical these days?) Schoenberg created the stripped-down chamber version of Mahler’s Das Lied von der Erde for fifteen instrumentalists and two vocalists that fit perfectly into the notion of “chamber music,” although there is nothing slight or tiny about Mahler’s grand romantic songs of love and death even with those forces. And to make clear the fact that this performance, which I saw Sunday and was repeated on Monday, was grand, the festival brought in conductor David Zinman and soloists Susan Graham and Paul Groves. 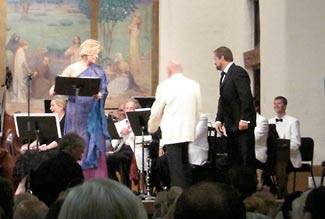 Graham is SFCMF’s first “Artist-in-Residence” and this was one of several performances she was giving during the festival while Groves is currently starring in the title role of Les Contes d’Hoffmann with Santa Fe Opera. (I should also mention that the excellent ensemble included Jeremy Denk on piano, who also appeared on July 27 in a program previewing his latest recording of Ives, to appear on iTunes today.) Both soloists seemed at the peak of their powers here, giving warm and engaging interpretations of these alternately jovial and bleak songs. The chamber ensemble behind them has the task of sounding much bigger than they actually are. And though things started out a little hesitant, by the halfway point they filled the hall with sound one would associate with far more players. Perhaps Zinman’s balance was more toward the revelry than the loss in these songs, but it was not a superficial interpretation by any means. Even during Graham’s lengthy final song “Der Abschied” there was a lovely and inviting intimacy. And while there are always very lovely evenings in the high desert of Santa Fe, this one stood out with such a memorable performance. It’s a great story. Lewis Spratlan, a composer and music professor at Amherst College, is commissioned to write an opera based on Pedro Calderón de la Barca’s 17th Century play La vida es sueño in the late 1970s. Before it sees the light of day, however, the producing company goes belly up in 1978, leaving Spratlan with a score that is all dressed up with nowhere to go. He shops it around with no success. The opera, called Life is a Dream, sits on a shelf until the late 90s when the composer and some supporters scrape together enough money to do two performances of a concert version of Act II which lo and behold wins the 2000 Pulitzer Prize. A big success, but oddly the offers do not start pouring in. But fate isn’t done with this opera yet, and when Santa Fe Opera shows interest in the work a number of years later, the stage is set for the world premiere that was 32 years in the making and which I attended on Saturday June 24. Like I said, it’s a great background story. Sadly, that fact does not make Life is a Dream a great opera. And as thrilling as I’m sure it was for everyone involved. including Spratlan, librettist James Maraniss, conductor Leonard Slatkin, and director Kevin Newbury, it was a long, hard slog of an evening met with a decidedly tepid response. You should know that the Santa Fe audience is not unfamiliar with 20th-century music. Santa Fe has long been a national leader in bringing American and World premieres to its devastatingly beautiful theater for nearly a century. That Life is a Dream was picked up here should surprise no one. But despite many strengths and a lot of loving attention, the piece is weighed down with a wordy, confusing, and highly unpoetic libretto that gives the music no room to breath. The music is precisely the kind of thing you’d expect coming out of an academic setting in 1970s America. Spratlan published an interesting piece in this weekend’s L.A. Times that describes the music better than I ever could, so read it here. It's a "pan-tonal" approach that, Spratlan notes, uses an outright 12-tone system at times. But Life is a Dream seems almost embarrassed by this fact and crushes the dark and conflicting music with reams of often didactic text that is delivered in a somewhat more spoken style than actually sung. The music is interesting and can easily sustain an opera of this length even if it doesn't come off as a personal and unique voice on initial listening. The music direction here was under Leonard Slatkin, of this year's earlier Met Opera La Traviata fiasco. Slatkin is a long-time advocate of 20th-century American music and was a perfect choice for this run. It's a difficult score and he exhibited none of the hesitancy or dis-coordination that dogged him in the press and on the web during his last high profile opera assignment. But even a resurgent Slatkin had an uphill battle here. The main story of Life is a Dream deals with a prince, Segismundo, who is banished as a child by his father King Basilio when the ruler begins to fear he will be a violent and despotic ruler. After the prince has spent a lifetime in ignorance and captivity, his father begins to feel guilty and decides to drug the prince and bring him to court for a sort of surprise trial run as monarch. If he does well, fine. If he gets violent or loses it, they'll just drug him again, send him back, and tell him it was all a dream. Of course, this is what comes to pass and Act III deals with the actual end of Segismundo's captivity and his struggle to determine what is real and what isn't. It's an intriguing notion for an opera. Sort of a 17th-Century version of The Matrix. But somehow it's transformed into something frequently dull and tedious. Life is a Dream is weighed down with characters and subplots that are introduced and then never adequately resolved. There are two pretenders to the King's throne, as well as a daughter to the royal jailer, Clotaldo, who poses as a man when first meeting her father, for unclear reasons, and then spends the rest of the time demanding an equally incomprehensible justice from everyone. 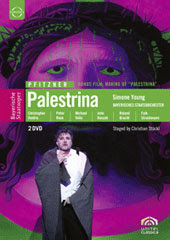 The performances of the singers were all quite good, including Roger Honeywell as Segismundo, James Maddalena as Clotaldo, and Ellie Dehn as his daughter Rosaura. I was particularly excited to hear Carin Gilfry as Estrella in my second exposure to her singing since an all too brief appearance on stage in a duet with her father Rod Gilfry during a recital last year. The production by Kevin Newbury was smart looking, incorporating both a sense of the Spanish setting of the story as well as a contemporary feel. The stage is dominated by several tall planks that extend and retract from the side walls of the stage with yellow lights lining their edges. These contrast nicely with the fairy-tale Spanish-influenced costumes and the beautiful Santa Fe landscape which is always on display here. But visually pretty or not, this was a long two-and-a-half hours that left a lot in the audience decidedly wanting more. P.S. An unrelated Santa Fe rant. - One of the many joys of being in Santa Fe is the great food. If you're here this summer, which you should be, I highly recommend that you avoid dining at Geronimo. After years of dining there, the 1990s decor and tired menu have succumbed to a staff who are apparently unable to handle something as simple as a reservation. There are so many great choices in town - don't wast your time and money there. Puccini’s Madama Butterfly returned to the Santa Fe Opera in 12 years this month. Not that anyone was likely to have missed it considering how omnipresent the work is. But Santa Fe has managed to put together a show that is quite convincing and very involving if somewhat pedestrian in its scope. Director Lee Blakeley and his design team have gone for a minimal almost neo-realist look. While Butterfly is often an opera drenched in color, here it is gray-to-beige scale reproduction of turn-of-the-last-century Japan as if from some old photograph. 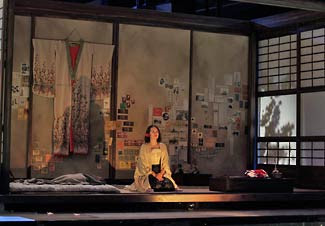 The set is dominated by the square Japanese-American home of the sliding doors that will occupy Butterfly’s thoughts throughout the evening. It rotates at several pivotal moments revealing the cast inside as well as the moon and other effects with just the sliding of a few doors. Much of the action takes place downstage from the house, but it's an effective (if obvious) symbol. The acts change with little demarcation other than the arrival of power lines running through Butterfly’s front yard indicating that Trouble and in-home electricity arrived about the same time in Japan. It looks a bit odd, but arguably serves the same symbolic purpose. The performances are of the typical Santa Fe quality, featuring some of the best and brightest American singers including Brandon Jovanovich as Pinkerton and Kelly Kaduce in the title role. What the two lacked in vocal fireworks was made up for in some part by the shrewd casting of the blond, tall and handsome Jovanovich opposite the petite Kaduce heightening from the beginning the sense of contrast in this ill-fated match. Jovanovich’s profile has skyrocketed over the last two year with meat and potatoes roles like Don Jose in big houses like the Met. I’ve liked him in L.A. and San Francisco on prior outings, but he did sound a little slow to start on the Friday I saw the show. Kaduce has made Butterfly one of her signature roles and she performs it admirably with much more zeal and emotion than what I’ve come to expect. This is not a Butterfly who is all about restraint. She gets royally pissed off when she is spurned and not simply going gently into that good night. Kaduce was just a wee bit shrill at times for my taste and I could have used a little more Italianate warmth along the way, but she certainly has the requisite power and sounded good outdoors. Anthony Walker led the Santa Fe Opera orchestra through a heavily-percussive performance that wasn’t mechanical but could have sounded a little bigger at times. Still, in all, this is a show that works far more often than it doesn’t. 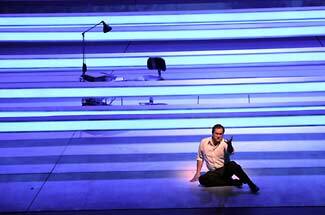 And while it may not have the lustrous color or cinematic scope popular for many contemporary Madama Butterfly productions, it’s focus on basic elements is satisfying. It’s July: that time of year when we Angelenos must come to grips with another fact of life here at the end of the world—the Hollywood Bowl. It’s an annual tradition, but one that is always marked by thoughts of “why do we do this” year after year. Tuesday was my first Bowl visit this season for an all-Mozart program with the Los Angeles Philharmonic under the guidance of Nicholas McGegan with the remarkable Katia et Marielle Labèque. And soon the sensory experiences come flooding back: burrowing under a heavy blanket under the heavily clouded sky, and the dulcet tones of idiots unwrapping their sandwiches and kicking over the bottles all under the loud crackle of the PA system the Bowl uses for amplification. The Bowl is always about performing admirably in the context of adversity. And on Tuesday, for a moment, the Labèque sisters achieved this as we gazed at them in a poignant moderne video split-screen on the Bowl’s six giant jumbotron screens stationed around the amphitheater. 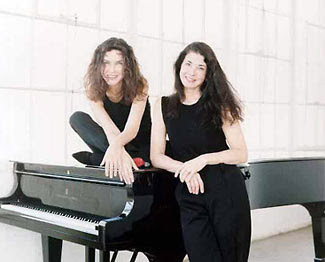 The Labèques played Mozart’s Concerto in E-flat for two pianos. McGegan informed us this was a “jolly” little concerto the composer originally penned for his sister and him. But the work sounded like much more here, with the soloists filling it with both energy and drama while not letting the tone get too high-handed. It was masterful playing from an act that’s a real standout in today’s classical music world. The rest of the show consisted of incidental music from Thomas, King of Egypt and Symphony No 36. Both were pleasantly played with McGegan’s affable-to-a-fault guidance. But in a venue that is perhaps the most unimaginably inappropriate for Mozart’s music, it was a completely valid approach. You’ve got to get big in the Hollywood Bowl – there’s no place else to go. The show repeats on Thursday night, so put on a heavy sweater if you’re so inclined and head on out. Oh, and one other thing. Here's a big welcome aboard to two of the newest official members of our beloved hometown orchestra. Tuesday's program included shout-outs to violinist Minyoung Chang and Principal Bassoon Whitney Crockett. Both musicians have been seen playing with the L.A. Phil on several occasions over the last year and by the printed note in the program appear to have signed on for a more extended tour of duty as of this past April (although there is noticeably less press fanfare overall this time around, following the debacle over Mathieu Dufour who was, then wasn't, the L.A. Phil's new Principal flute earlier in the year). 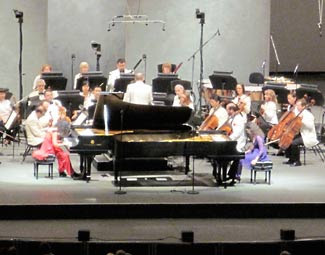 Both Chang and Crockett have most recently been playing with the esteemed New York Philharmonic and Metropolitan Opera Orchestra respectively prior to coming to L.A. Here's wishing them the best in L.A. even during those surprisingly cold and overcast summer months. Martin McDonagh’s The Lieutenant of Inishmore is a smart and funny play. It’s now onstage at the Mark Taper Forum in L.A. through August 8 after being rescheduled from last season. In fact, it’s so smart and so funny that it might just convince you that it’s saying something more daring than it is. But it isn’t really. The play has become McDonagh’s calling card. Set during “the troubles” in Ireland, a loose association of people with too many guns create some havoc over a dead cat while exacting some largely off-stage torture along the way. To be honest, the less said about the show the better. This is one of those outings where everything is much funnier and shocking if you haven’t read about it much, so I’ll try to keep my descriptions on the lean side. McDonagh is no stranger to the rich tradition of tragic-comic storytelling in Irish letters and drama. He generates big laughs here in the most unlikely of places and you really shouldn't miss this show if you haven't been initiated into his world. 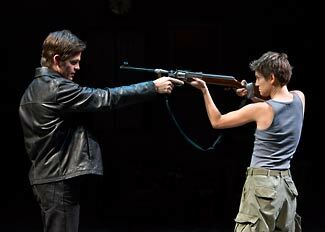 But with all its twists and turns, McDonagh’s theatrical blood bath deals with something most of us in the West are already painfully aware of – the moral hypocrisy of the terrorist mindset. The jokes here are not to drive home uncomfortable truths, but instead serve to reaffirm what we already know by craftily packaging it as a revelation. Like I said it’s clever, but it also rings of a fait accompli. Not that The Lieutenant of Inishmore will seem alien to anyone familiar with McDonagh’s other work. Indeed, if anything, it risks being indistinguishable. What it’s most lacking is ambivalence and subtlety. McDonagh doesn’t have the touch of say Enda Walsh who has mined similar thematic veins with just as funny, but a lot more creepy, results. The performances are fairly good across the board. Zoe Perry’s Mairead and Chris Pine’s Padraic do generate enough chemistry to keep the mushier parts of the story going. Pine may be a little to all-American handsome for the part, but his acting skills compensate by avoiding the many tongue-in-cheek temptations that lie within the script. There is a lot of detail here outside of the two headliners and director Wilson Milam manages to keep all of the ensemble right on target in their own mordant little corners of this wicked world. In the end, I suppose The Lieutenant of Inishmore has charms that outweigh the sometimes hollow feeling at its core. There’s plenty of amusement in this theatrical bludgeoning, even if that sometimes involves the audience. I, too, am profoundly saddened by the reports of the death of Sir Charles Mackerras. As Lisa Hirsch points out, he was a musician with a long list of accomplishments, but perhaps none so towering as turning Leos Janacek from a beloved regional composer into one of the towering figures of 20th-Century opera. He issued new editions of Janacek’s major operatic works and championed them at first in English, and later in the composer’s own beautiful native language. 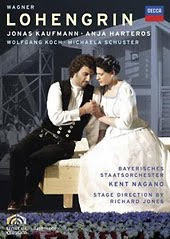 I’ll admit my bias – these works are among some of my favorites, and hearing Mackerras conduct Jenufa and Katya Kabanova are some of my favorite operatic memories. And, even though I never got the chance to hear him lead The Cunning Little Vixen (which Mackerras is conducting in the clip above), it is certain that without his work and advocacy, the daunting beauty of this opera would still be unknown to me. And how do you thank someone for bringing art like that into your life? I don’t know, but thank you Sir Charles. You will be terribly missed. Sarah Ruhl’s The Clean House finally made it to L.A. last month after well-regarded runs in many places since 2004, including South Coast Repertory and New York's Lincoln Center. 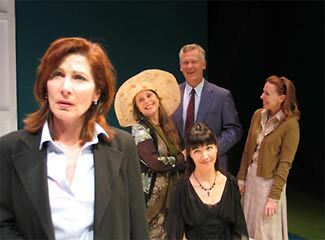 It has surfaced at the Odyssey Theater on the westside of town, which is no surprise considering the company's history of bringing important contemporary plays to local audiences, which have recently included Caryl Churchill’s A Number and Adam Bock’s The Receptionist. And while The Clean House doesn’t benefit from the same level of star-casting as those two previous productions, Odyssey and director Stefan Kruck have put together a funny and solid staging that highlights the best about Ruhl’s play. Probably one of the things I love most about The Clean House is that, like many of Ruhl’s plays, it focuses on the lives of women. It’s sad to say, but even today, one doesn’t get a whole lot of experiences to see works with predominately female casts. House centers around Matilde, a Brazilian maid who doesn’t like cleaning and the married physicians she is employed by but doesn’t exactly work for. This arrangement begins to unnerve her boss Lane who would be forced to turn Matilde out if it weren’t for Lane’s sister, Virginia, who volunteers to do Matilde’s work for her in an effort to calm her own unquiet mind and its obsessive-compulsive tendencies. Matilde turns out to be a comic at heart and spends her time trying to think up the perfect joke in part as a tribute to her comically-inclined deceased parents. The play is about a great deal more, however, and takes off from there to explore what exactly makes these characters happy and how everyone struggles to identify what that is. Ruhl isn’t so much interested in issues related to social class or cultural differences. The second half of the play veers off in an entirely different direction concerning Lane’s husband, Charles, and his hyper-romantic affair with a terminally ill patient who eventually comes to live in Lane’s home. The focus, however, continues to be on the relationships between these women and how they figure out what actually makes them happy. Ruhl has a superb capacity of filling her plays with scenarios and details that never exactly go where you think they will. The Odyssey's staging may not be perfect, but it does deliver many of the surprises Ruhl intended. The show closes next weekend after a recent extension on the 18th. It almost seems unfair to write about a performance from Dael Orladersmith. 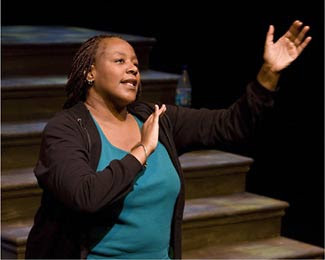 She’s made a career of solo, and at times autobiographical, theatrical writing and performances that mine the space between theater and spoken word performance with a hefty dose of poetry mixed in with her characters and stories. To describe her performance in everyday prose sells a show like Stoop Stories, which is best at its most lyrical and poetic moments, very short. Orlandersmith is performing Stoop Stories six times this week, and another work, Bones, at the end of the month at the Kirk Douglas Theater in Culver City. Orlandersmith has appeared in L.A. before, most memorably at the Fountain Theater, where her visions of the multiple traumas heaped upon the lives and communities of her multi-ethnic, city-dwelling characters of both genders could be both searing and incendiary. Stoop Stories is marked by the same toughness around the edges with a keen eye on the effects of drugs and other social ills on a variety of communities. However, Stoop Stories is equal parts nostalgia about coming of age in a New York City filled with music of wildly different varieties around every corner. Orlandersmith congers a variety of characters including an elderly immigrant man remembering when he met Billy Holliday, an ex-rocker junkie, and Orlandersmith’s own voice. Her characters are often poets in addition to whatever else marks them as individuals, providing a platform for a series of punctuation marks on the themes in her characters' stories. And while there’s nothing revolutionary in the material, it’s delivered exceedingly well. She has a critical and knowing view of the past that isn’t just about the good stuff. Stoop Stories is about kicking it old school when that means recognizing all the demons one’s had to come to grips with to do so. I got to see Lin-Manuel Miranda’s Tony-award winning musical In the Heights over the recent holiday weekend in L.A. during its current national tour. (This was the night following the casts’ appearance on the George Lopez show on TBS.) I’m not sure what I was expecting, but it was certainly more than I got. Miranda has joined the touring production for many of the dates on the West Coast and he is certainly one of the show’s biggest assets. His stage presence and charm are remarkable. But In the Heights sadly takes all that charisma and squanders it in a show that is so well meaning, it almost isn’t even there. As you may know, the musical deals with the trials and tribulations of a mostly Latin-American community in Manhattan’s Washington Heights neighborhood during one very hot summer. The characters, including Miranda’s Usnavi, struggle with a variety of socioeconomic challenges in a heart-warming fashion that reinforces familial love, hard work, and community spirit. Which are all good things, even if they aren’t the most interesting material onstage. There’s also the matter of a winning lottery ticket and how it will be used and by whom. And while the show may be filled with characters who aren’t typically found in Broadway musicals, what happens to them in this story can be seen coming from miles away. 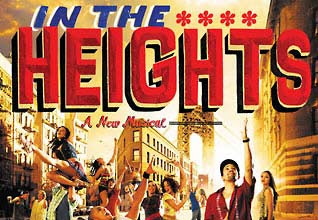 In The Heights is definitely more “Yes, We Can” than “Fight the Power.” All of this activity is set to rather chock-a-block Broadway melodies infused with Latin rhythms and a bit of rap. There is plenty of dancing as well, but the entire effect (at least as it appeared in L.A.) was decidedly old-fashioned: from the single unchanging set to the pro-forma let's-throw-a-street-party set pieces. In the Heights may also be the least visually spectacular musical to come out of New York in years. Even attempts to add a dash of contemporary edge by inserting lines about the duly reviled Arizona immigration law from earlier this year into a rap by Usnavi’s younger cousin Sonny fell flat. But all the ingratiating crowd-pleasers aside, In the Heights never really sinks to the level of being wince-inducing. It moves along at a good pace and does manage to bring off the musical numbers both professionally and with a good level of commitment. And it does provide the opportunity to see one of the stage’s most recent new stars in what will hopefully be a career filled with far more compelling projects. In the Heights runs in L.A. at the Pantages Theater through the 25th of July. While King Lear is not typically thrown in with Shakespeare’s “problem plays”, it seems to me it should be. Despite some great language and some of the playwright’s most powerful scenes, the play is almost never completely satisfying. First, one must accept the outlandish matter of dividing the kingdom up before Lear dies. 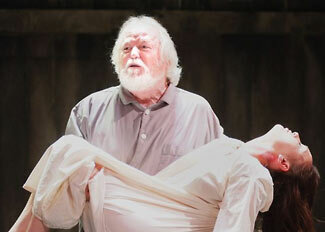 Then there is the sheer unlikability of both Lear and his daughters. All of the female roles are thankless and so easily turn shrill and cartoonish. King Lear hardly seems more accessible to a modern audience than say Measure for Measure does. And yet, the play persists in the forefront of Shakespeare’s dramas and is popularly revived with ease nearly everywhere. L.A. is no exception to this rule where Lear is receiving a detailed and thoughtful production from the Antaeus Company in the company’s first-ever full staging of any Shakespeare play in its nearly twenty year history. King Lear should be right up the alley of Antaeus, which has demonstrated a particular adeptness in working on ensemble pieces with large casts. (I'm thinking here of the superb Pera Palas they did at Boston Court a few years ago.) Their working process often calls for years of readings and workshops before a piece reaches a final full production allowing the group’s community of artists to fully explore the ins and outs of various texts. This summer the troupe has set up shop at the Deaf West Theater in North Hollywood where in addition to King Lear the ensemble is presenting numerous workshops and weekly readings of dozens of plays as part of “Classicsfest 2010,” allowing audiences to observe some of this working process. Their fully-staged performances, as with King Lear, are typically double cast allowing alternate groups to be seen on consecutive nights. Antaeus’ King Lear, directed by Bart DeLorenzo, shows the hallmarks of this long gestation process with excellent chemistry on stage and a surprisingly clear delivery. It’s solidly acted and assertive in highlighting the comic elements in the script. In the cast that I saw last weekend, this awareness of Lear’s own humor stemmed largely from the performance of Dakin Matthews in the title role. No stranger to comic and larger-than-life characters, Matthews’ Lear retains some of his comic perspective even as his sanity slips away. It’s a smart performance and the rest of the cast is solid. There are some problems, however, and they stem largely from a bit of over-exuberance with the scenic design of the show. 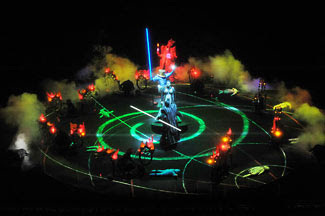 The minimal modern dress staging becomes increasingly labored by the end with Edgar and Edmond fighting each other in the final Act while donning red and black kafiyas and holding either end of a red rope during their battle. It’s the kind of thing that wouldn’t even fly on TV today, but here it is. There are also some grizzly extrapolations of the plot here and there as well, but nothing that basically alters the text in any significant way. It’s a good show and a good chance to catch one of L.A.’s better local theater companies between now and August. Although L.A. Opera’s Ring Cycle performances concluded over a week ago, the chatter about these events persists as people continue to digest what they’ve seen and heard. There are still some great events associated with Achim Freyer’s production going on around town that are worth visiting to help with your withdrawals from this landmark event. On Saturday, I caught two ongoing art exhibits in town associated with the Ring Festival. First off, I headed out to the Bergamot Station in Santa Monica to the Ruth Bachofner Gallery for an exhibit of some of the haunting photographs Monika Rittershaus produced in conjunction with the presentation of the four Wagner operas over the last several years. Many of these images have been widely reproduced in the media as part of the coverage of this event. 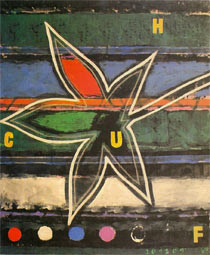 Like Freyer’s vision, they are colorful and ironically they seem to fly in the face of the often-repeated criticism that the production was static and without human emotion. Many of these images highlight the emotional aspects of the characters and the actors' facial expressions are easily seen. And while they don’t capture the immense visual sense of the entire stage image, they find beauty in an up close view of Freyer and the company’s work. The photographs, which are enlarged and mounted, can be purchased for quite reasonable prices and would make an excellent souvenir of the experience. The gallery will continue to have the works on display through July 17. Meanwhile, in the much larger space of the ACE Gallery Wilshire Tower are more than two dozen paintings and sculptures produced by Freyer himself during his time in Los Angeles working on the Ring Cycle. L.A. has a long and rich history as a source of inspiration for expatriate European artists, so it is no surprise that these works from the last six years cover a lot of ground. Obviously some of the material take off from Wagner’s operas, including sculptures based on the costume elements for a few of the Ring characters. 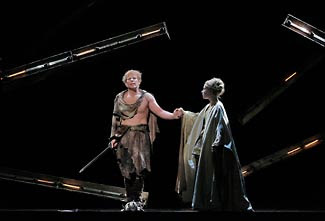 Both Wotan and Brünnhilde appear in giant multiple versions of themselves. A dismembered Alberich climbs a ladder towards an LED ring in another closet-like space. 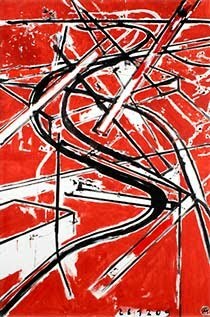 But the majority of the works on display are abstract paintings, sometimes only tangentially related to the operas. An equally important influence is Los Angeles itself, and its massive grid and sprawling geography. 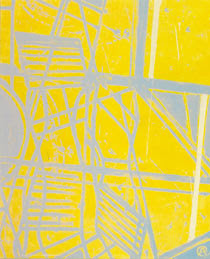 Color is vitally important here, but this is no day-glo version of sunny California like David Hockney imagined. Here the city is a net at odds with its own natural surroundings. Giant leaves appear in pastels atop parallel lines and curving freeways that converge behind bars and spiral like the very Ring of the Nibelungen. It’s a huge exhibit worth a couple of visits and will stay in the Wilshire space through August 14. The Los Angeles Times has also continued to bring a variety of information to light about the LAO Ring that bears pointing out. Mike Boehm reported last week that according to L.A. Opera COO Stephen Rountree, the production ended up with a deficit of around 6 million dollars between soft ticket sales and shortfalls in contributions. That’s not great news, but I for one would much rather have seen the company produce the cycle it did at a deficit than something on budget but decidedly less important. Rountree is also quoted in the same article on the topic of when the Ring will be revived in L.A. While he again notes that it is unlikely before 2018, he notes that maestro James Conlon is pushing to do it sooner, sometime within the next five years. Here’s hoping that the company can raise the money for Conlon to get his way. Another piece by Boehm in the Times pointed out the complete dearth of coverage of the complete cycle by American media outlets outside of Southern California. And while several European sources had no trouble making press available for nine days in Los Angeles, the lions of what’s left of print journalism couldn’t quite raise the funds to make this happen. Boehm continues to imply that bias against Los Angeles probably also played a role in these decisions as well. I think he’s right, but I would argue that it also represents how little intelligent writing there is about opera in the dying print media in the first place. Boehm quotes a few East Coast journalists implying that in addition to budgetary constraints, they failed to cover the L.A. Ring due to feeling it wasn’t important enough. And then they wonder why their jobs are disappearing? Print journalists in particular like to bemoan the death of their business due to encroachment of the free and unprofessional Internet into their world. But it’s much more than that. Print media have always been forced to make decisions about what is “important” and what isn’t in their limited space. What “new media” has actually done is give people a place and a way to write and read about what they want instead of relying on the myopic vision of the few. Take opera for example. The U.S. East Coast has been dominated by opera companies so short on artistic vision for so long, that even their respective local print critics no longer recognize what makes an opera worth covering. They’re still writing about singers and vocal technique like opera is the NBA. These are the same writers bemoaning the decidedly moderate efforts of the Metropolitan Opera’s Peter Gelb to drag that institution kicking and screaming into the 1990s. 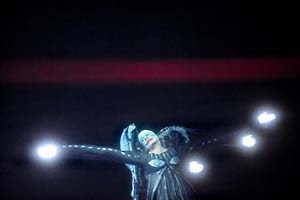 L.A. Opera’s Ring Cycle may have been ignored by East Coast critics, but it wasn’t just lack of money or hatred of L.A. It was a lack of insight and focus on an outdated notion of what the art form is about and what today's audiences are interested in seeing and reading about. Before I forget, I should mention some of the July performances I’m most looking forward to around town and elsewhere. The centerpiece of the month will be two weekend visits to New Mexico for this year’s Santa Fe Opera Festival. On the 24th the company will present the world premiere of Lewis Spartlan’s Life is a Dream under the baton, I wager, of a resurgent Leonard Slatkin. The following weekend features the premiere of a new production of Britten’s Albert Herring with Alek Shrader and Christine Brewer. Also on the schedule are a revival of Puccini’s Madama Butterfly, featuring Kelly Kaduce, and a new production of Les Contes d’Hoffmann, starring Paul Groves and Kate Lindsey among others. Of the may great things about Santa Fe, one of my favorites is the brilliant timing of the Santa Fe Chamber Music Festival that coincides with the opera season and includes guest appearances of notable performers and vocalists from around the world. I’ll have time for two shows this year, a solo recital from pianist Simone Dinnerstein on the 31st and Mahler’s Das Lied von der Erde with Groves and Susan Graham on the 25th. Much of the rest of the month will be taken up with a slew of local theater events now that there is time, what with the conclusion of L.A. Opera’s recent Ring cycle. Most notably, Center Theater Group will present the local premiere of Martin McDonagh’s The Lieutenant of Inishmore starring Chris Pine that is currently in previews at the Mark Taper Forum. On a much smaller scale CTG will offer a solo performance from Dael Orladersmith, Stoop Stories, starting the 7th at the Kirk Dougals Theater in Culver City. For more family friendly fare there is Lin-Manuel Miranda’s touring production of In the Heights, which will wrap up its run at the Pantages Theater in Hollywood on the 25th. The always interesting Antaeus ensemble will present their first full-fledged Shakespeare production, King Lear throughout July and August while Hollywood’s Fountain Theater is currently offering Michael Hollinger‘s string quartet drama Opus. And before it wraps up on the West side, I’ll also catch the Odyssey Theater’s production of Sarah Ruhl’s The Clean House. The Odyssey will also present another in their series of successful Alan Ayckbourn productions with Bedroom Farce starting on the 17th. There is a smattering of other events of note. The always underwhelming Hollywood Bowl season will pick up steam this month and my first visit to the Bowl will be to see Katia and Marielle Labèque play Mozart under Nicholas McGegan on the 22nd. Dudamel will cruise back into town just two weeks later with a concert performance of Bizet’s Carmen on Sunday, August 1, as well. Of course, summer always brings a variety of popular music acts to town and my two favorites this month are MGMT who’ll appear at the Greek Theater on the 16th and Joanna Newsom who’ll appear in support of her latest recording Have One on Me at the Orpheum Theater downtown on the 31st. Until next month, that is all.